Hudson Gallery provides a complete in house custom framing department for all types of artwork and memorabilia. 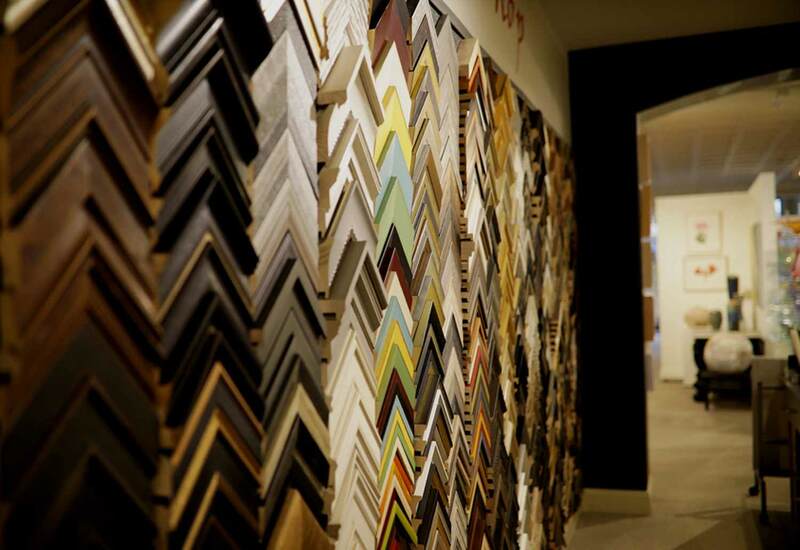 We offer a selection of over 2000 frame samples with complete conservation services as our specialty. Relax in our comfortable gallery and let us guide you through all the necessary steps to put the finishing touch on your work of art or keepsake. Framing is available for any size painting, photo, print, object or personal memento. We handle everything with the greatest attention to detail and care. Working with your personal aesthetic and our thirty year industry experience, we will together come up with a design that will enhance your artwork while keeping in mind the setting in which it will be displayed. Local in home or office consultation is also available. Call us and we’ll schedule a convenient time to visit your space. Or contact us via e-mail with any questions. Corporate and Institutional consultations are available.